I love love love Inside Out. It is probably the Disney/Pixar movie with the heaviest themes. It has so many layers. It has some fun foods in it, like broccoli pizza! In the butchered dream sequence, the dream is failing and the camera pans around to see the Unicorn eating cupcakes. Ok, we’ve done cake and cupcakes a lot. Normally we would have just linked to another recipe, but we had some friends come over for a baking night and we had to make some yummy treats, so my wife found this great recipe with some really good frosting. Start by making the base for the frosting. 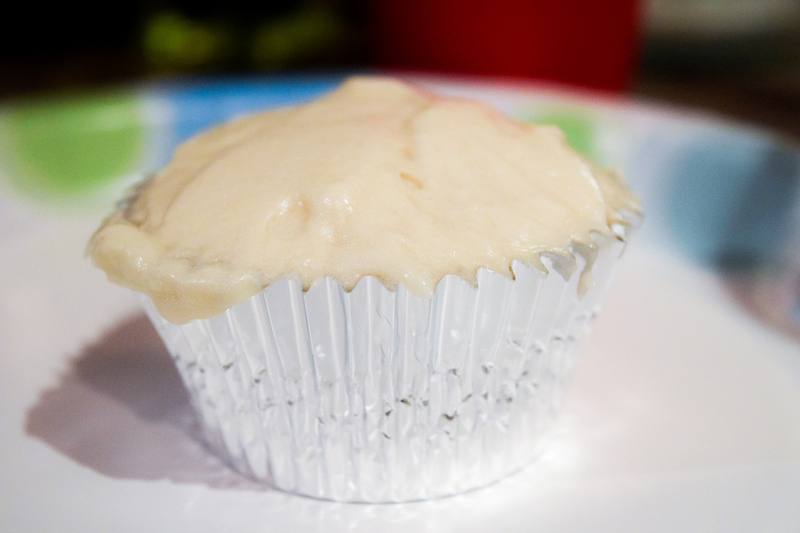 (It needs to cool down before using, this part of the frosting could also be made a day or 2 ahead.) In a large saucepan on medium heat, whisk together the sugar, flour and salt, and slowly add the milk. Cook, whisking frequently, really almost constantly so it doesn't scorch, until it comes to a boil. Once it starts boiling, turn down the heat to medium low, and cook for 3-4 minutes, whisking constantly, this is to cook the flour taste out. Mixture will be very thick. Remove from heat and add 1 tablespoon vanilla extract. Transfer this mixture to another bowl and let cool in the fridge. Line muffin tins with cupcake liners (greaseproof are best) and set aside. In a large bowl with a hand mixer, or in the bowl of a stand mixer, add the oil and the sugar. Beat them together for 2 minutes or so, so they are mixed well and the sugar has dissolved somewhat. Add the eggs and both extracts and beat again for another 2 or 3 minutes, until the mixture is smooth and creamy looking. In another medium bowl, whisk together the flour, cornstarch, baking powder and salt. Add the dry ingredients to the egg mixture and beat on medium low speed just until it's incorporated, don't over beat. Scrape down the sides of the bowl with a rubber spatula. Add the sour cream and beat on medium low speed just until the sour cream is mixed in well. Scrape down the sides of the bowl again and beat again just for about 20 seconds to make sure it's all mixed well. Cool on a wire rack. When they have cooled enough to handle, remove from muffin tins and let cool on racks. Let cool completely before frosting cupcakes. While cupcakes are baking finish making the frosting. Make sure the base in the fridge is completely cool. If it's warm at all, it's going to melt the butter. If it's very cold in the fridge it may very firm. Don't worry, it's fine. In a stand mixer or in a large bowl with a hand mixer, beat the butter for 2 minutes, scrape down the sides of the bowl and beat again for another minute or so, until it's nice and light and fluffy. With the mixer going on medium - medium high, gradually add the cooled frosting base, about a "scoop" (a large spoonful) at a time. After each scoop, let it mix until it's fully incorporated. Keep adding and letting it mix together until it's all been used. Scrape down the sides of the bowl and beat for another few minutes until it's super light and fluffy. Taste it and see if you think it needs a little more vanilla extract, or you can add another extract or flavoring at this time. Congratulations San Francisco, you’ve ruined pizza. We’ve made pizza before, but since this is San Francisco, we had to make a gluten-free option. It actually turned out really well. Line a pizza peel or a second rimless baking sheet with parchment paper; liberally brush with olive oil. Spread the cauliflower mixture into a 12-inch-wide circle on the parchment. Slide the parchment onto the preheated pizza stone or baking sheet. Bake until the cauliflower crust is barely golden and darker at the edges, about 15 minutes. 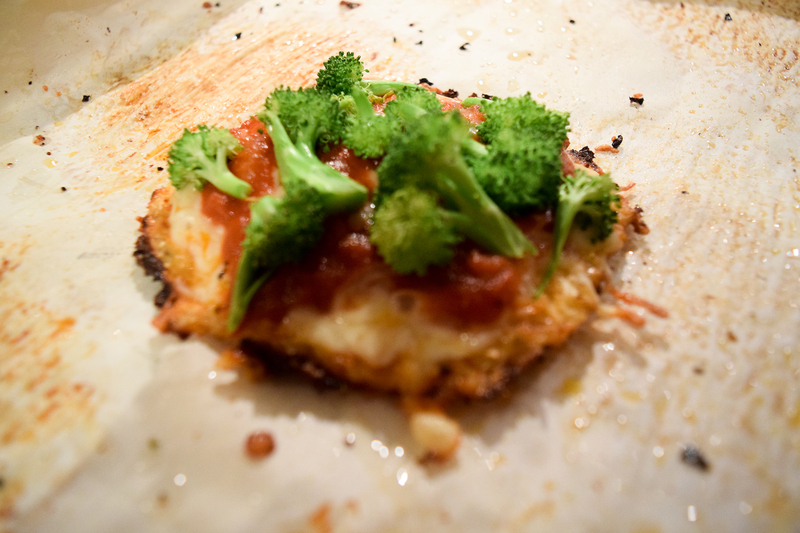 Remove the crust from the oven, sprinkle with the mozzarella and spread the marinara sauce over the top (this keeps the crust dry), then add broccoli on top. Slide the pizza back onto the pizza stone or baking sheet and bake until bubbly and browned in spots, about 4 minutes. The family gets Chinese take out. It is hard to see what exactly they’re eating, but there are some greens you can see. Broccoli is a theme of the movie, so why couldn’t it be beef and broccoli? In a bowl, combine 2 tablespoons cornstarch, oyster sauce, 2 tablespoons water and garlic until smooth. 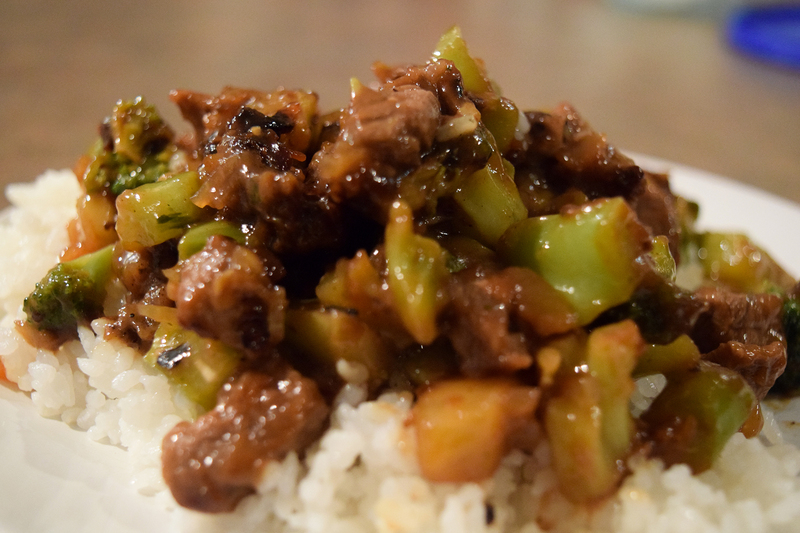 In a large skillet or wok over medium high heat, stir-fry beef in 1 tablespoon oil until beef is done; remove and keep warm. 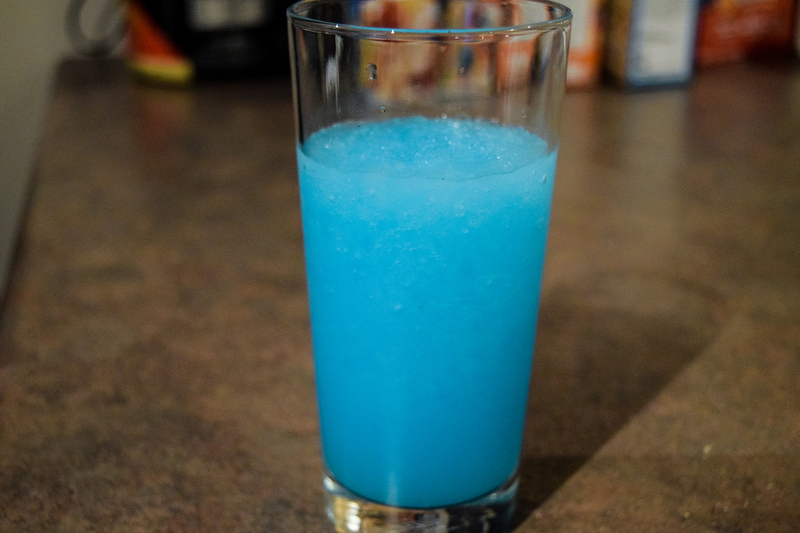 Here’s a recipe for a blue slushie to give you your own brain freeze. Will it make you Joyful? Sad? Angry? Disgusted? Fearful? You should definitely eat your broccoli. I didn’t have high hopes for the broccoli pizza, but it wasn’t bad. I don’t think San Francisco ruined it THAT much.